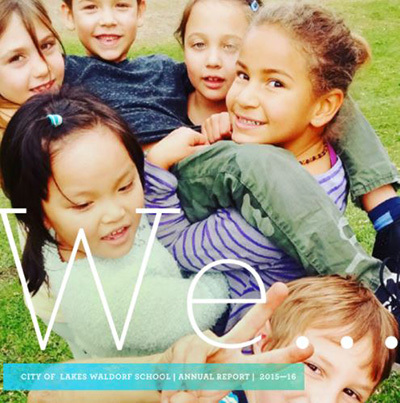 The City of Lakes Waldorf School Annual Fund is a yearly fundraising effort supporting our mission to provide the highest quality education possible while keeping tuition affordable so that more students can benefit from Waldorf education. Like other independent schools, we rely on the generous donations of time, talent, and financial resources from our community to fulfill our mission and close the gap between tuition and the full cost of an education at City of Lakes Waldorf School. All gifts are tax-deductible and support a broad range of school operations including programming, tuition assistance, professional development, compensation for our talented staff, and improving our historic building and property. Thank you for your generous support of our vibrant school. For more information, please contact Marti Stewart at 612-767-1501 or development@clws.org.